What's new in CLZ Music for Android? We’ve added new fields to sort on to change the order in which your albums are displayed in your list. 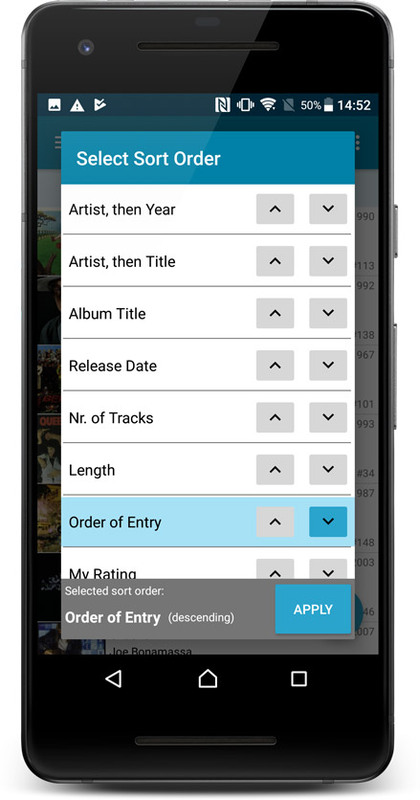 Your album list will adapt to sort and show the field you’re sorting on. On top of that we’ve redesigned the Select Sort Order screen to make it more clear what you’re choosing. Open the Select Sort Order screen by tapping the menu top right, then tap “Sort order”. All fields can be sorted either ascending or descending. Tap the field you wish to sort on, then tap “Apply” to confirm.